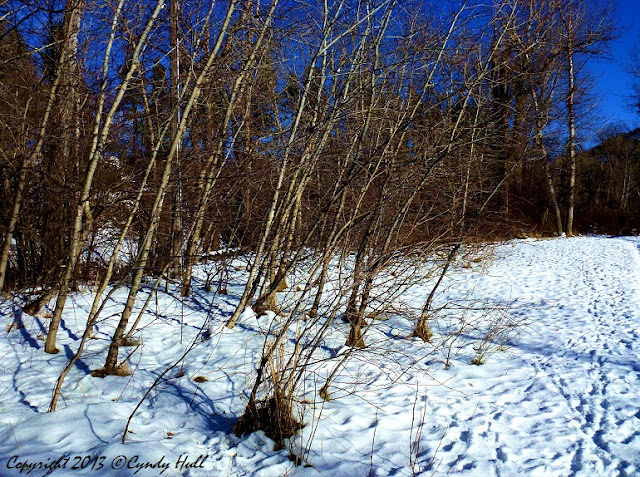 A sunny, tree-lined winter meadow is explicit invitation to run wildly across the open expanse - or as wildly as possible in big winter boots! From the tracks visible here, quite a few park visitors heeded the irresistable. And your sisters will try to remind you too.